Directions: Answer these questions using quadratic equations or functions. Check your answer when finished. You will need a calculator. 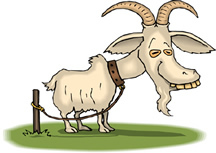 Lydia is going to fence a rectangular pasture for her pet goat, Billy. The fenced pasture is to enclose an area of 480 square feet and the length of the pasture is to be 4 feet longer than its width. What are the dimensions, in feet, of Billy's new pasture? Hikers Mario and Evan start out at the same point. Mario walks due north for x miles. In the same amount of time, Evan, going due east, walks one mile further than Mario walked. 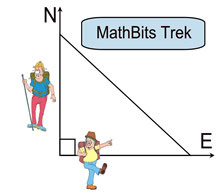 When they stop, the distance between the hikers is 2 miles more than the distance walked by Mario. How far did each hiker walk? 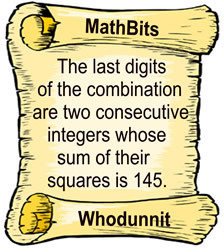 You are participating in a MathBits' "Whodunnit" game. Your team is trying to open a safe to retrieve a "Safe" card. 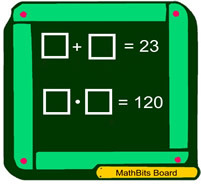 You were told that the combination is 3715___, and were given a clue, shown at the right, regarding the missing digits. What is the correct combination to the safe? Be careful! You only get one try to open the safe! Tyrone has written a video game called "Killer Chess". He hired a graphics firm to make a rectangular poster of his game for display in stores. Tyrone asked the graphics firm for the dimensions of the final poster and was told that the poster had a surface area of 864 square inches and that the border around the outside edge of the poster was 120 inches. 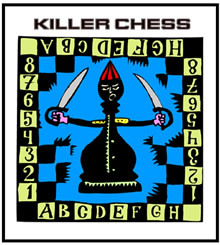 What are the measurements of the length and width of the Killer Chess poster? a) Find the value for x which will give the maximum area. b) Find the maximum area. c) Is this maximum area rectangle a square? Zack is teaching his little brother, Ricky, to throw a football. The equation y = -0.12x2 + 0.84x + 3.56 models Ricky's best throw, where x is the distance traveled in feet, and y is the height of the ball in feet. How long was Ricky's best throw? Express answer to the nearest hundredth of a foot. If you invest money, P, at an interest rate, r, compounded annually, then at the end of two years the amount, A, of money you will have is given by A = P(1 + r)2. At what rate will $100 increase to $144 in 2 years? The sum of two numbers is 23. The product of these same two numbers is 120.